Benedict has been supplying Large Sandstone and Basalt Rock, as well as the smaller sized sandstone and basalt spalls into the Sydney market for many years. 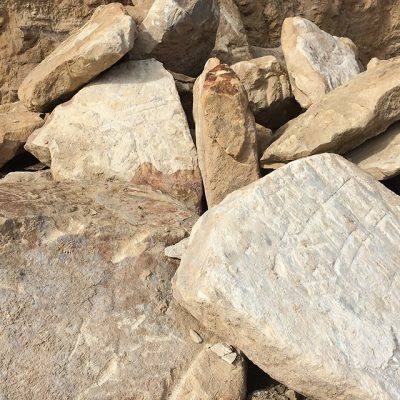 Our Belrose and Sandy Point quarries offer various sizes of Sandstone Rock and Spalls, ex-bin and supply and delivered to site. 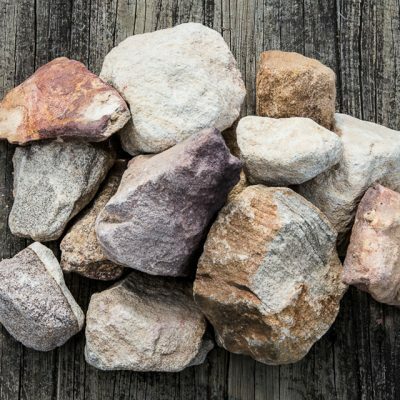 Sandstone Rock is commonly used for solid stacked retaining walls, water abutment for creek beds, car park barriers for sports fields and feature rocks in landscape. Basalt Armour Rock is usually targeted for Sea Wall and Watercourse construction, due to its superior physical and chemical durability. Sandstone Spalls look great as a non-structural gabion basket filler, and are also popular as creek bed and bank lining, and for use as bridging layers in new estates where rising water is a concern. Basalt Spalls (tested to RMS R55) have long been the material of choice for Gabion Baskets, and also have been used as chunky decorative aggregate for landscape where a grey coloured material is desired.